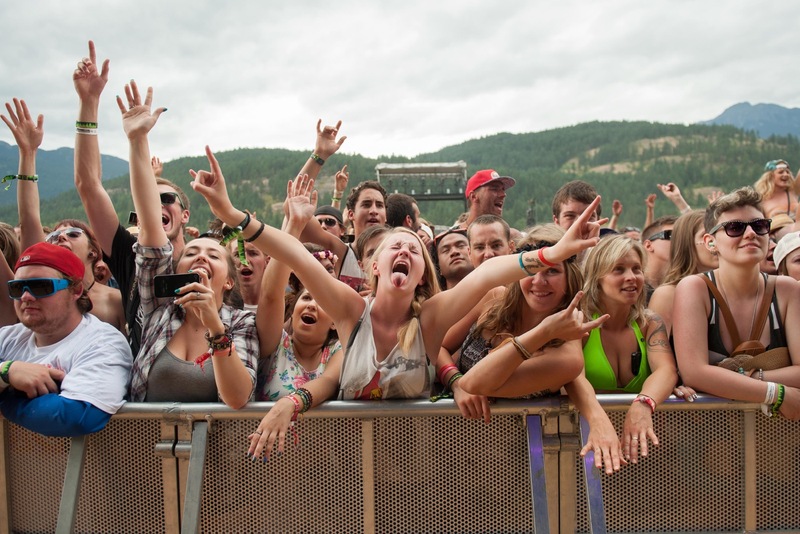 There’s such a stark difference between traveling to and from a festival. Whether it’s your first time or an annual pilgrimage, you will almost always be overwhelmingly excited about the journey to the hallowed grounds of a festival: the anticipation, the tension, the expectation, the sheer joy of knowing that you’ll not only be "away from it all" but also en route to a whole other dimension of enjoyment. That trek is full of fun, joy, laughter and virtually uncontrollable excitement. The journey home, though, is often doused in melancholy. Somehow you’ve adopted a miserable grey cloud and it’s following you all the way home. 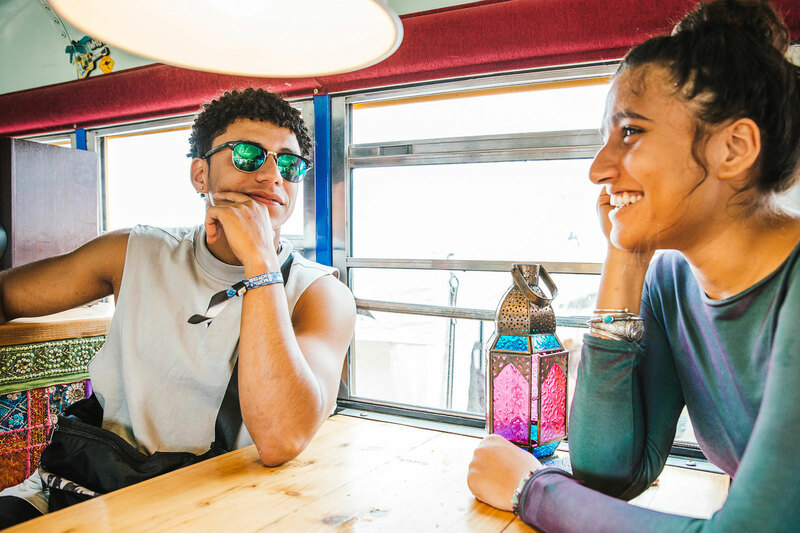 It doesn’t matter if you’re still buzzing about the adventures you’ve had – the festival blues still rear their ugly head. However, if you follow our guide below, you'll have a better chance at beating the festival blues so that gloomy journey home will be full of sunshine. You might think, “But how is some water or fruit juice going to fix my withered brain? !” Well, you just answered your own question. If your brain is running on empty it’s most likely dehydrated, hungover or on a comedown, or all three! 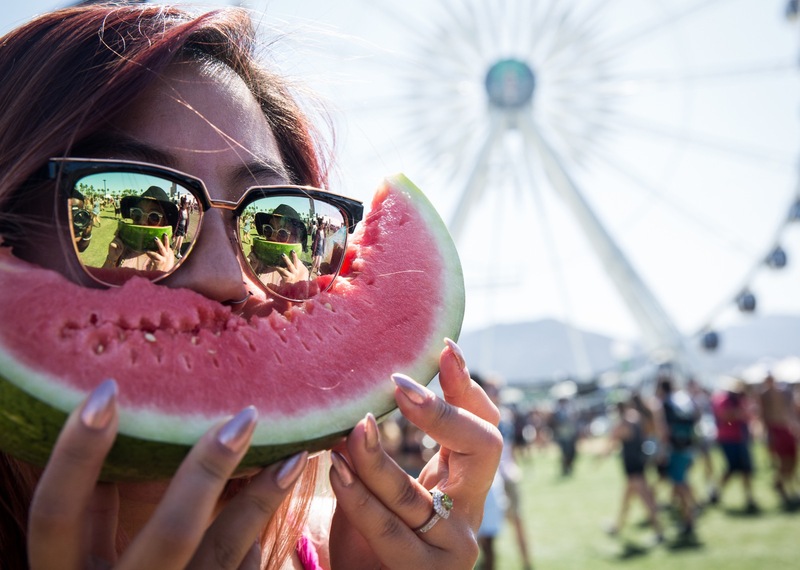 Hydrating your body and mind helps to boost your mood and give you potent ammunition in the battle against that low feeling you experience when you leave the festival site. Improved memory, reduced stress and better cognitive capacity all result from hydrating your system properly. Try to glug down a litre or so during your journey (depending on how long it is). Avoid beer and any other intoxicants; we’re not after quick fixes here, but methods to bring the body and mind back into a balanced state. After all, you’ve probably pushed them both to their very limits, so now it’s time to give them a soft landing for all their efforts. You may feel as though you can’t face food ever again, but you must get some nourishment into that battle-scarred body of yours. Fruits and vegetables are the way to go here, as we all know they’re packed full of nutrients and vitamins that give your system a much-needed dose of goodness. We recommend bananas. Not only are they soft and easy on the jaw, but they also contain a ton of good stuff including a compound called tryptophan, which is an amino acid essential to the production of serotonin which itself improves your mood. In fact, taking a big bunch of bananas to the festival with you is highly recommended, as they are great for keeping you afloat in times of need. Nuts are also great, giving you a boost of protein and energy. Fresh and healthy fare is far better than anything containing large amounts of fat or sugar (though maybe a chocolate bar could also assist in your anti-blues campaign). 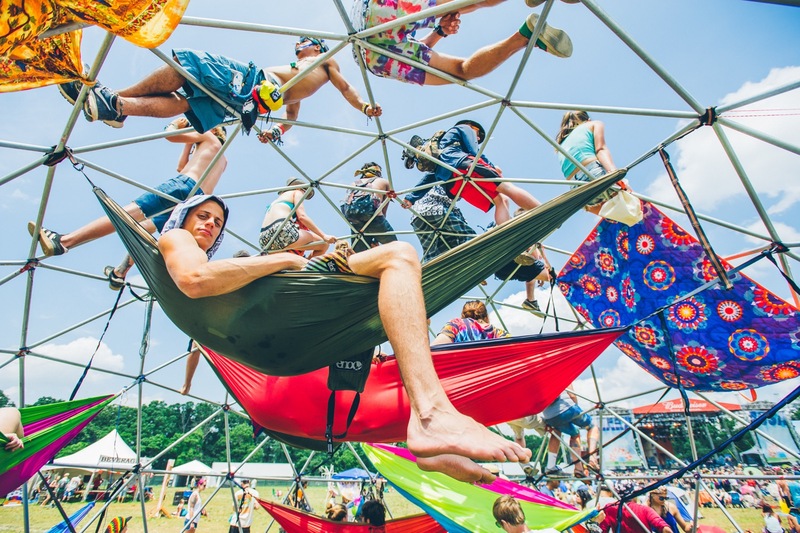 You probably haven’t slept much at the festival, and especially not on the last night when you’re trying to squeeze every last little drop out of the event. "No sleep 'til we’re on the way home" is the mantra, and you stick to it with aplomb. But this only exacerbates the horror of actually getting on that hot, smelly coach, or that packed train with hundreds of other festies whose energy has been sapped by having such a downright amazing time. So what do you do? Wallow in self-pity? Spend the whole journey wistfully reminiscing about the past few days? Cry? No, give yourself a break and rest up. It’s okay to allow your body to have the sleep it deserves. Stick in some earplugs (a festival essential), wrap yourself up and hug yourself to sleep. That rest will help your immune system recover, allowing key amino acids to start rebuilding neural pathways and aiding the reproduction of serotonin. Lack of sleep is intrinsically linked to depression, so a low mood will often benefit from a good amount of sleep. Even if you simply retreat and avoid having animated conversations on the way home, you can redirect some energy towards your recovery. Alright, so maybe you’re the kind of person who can’t fall asleep just anywhere, particularly after THE. BEST. TIME. EVERRRRRR. Talk it out, then. Without being too much of an energy vampire, tell your friends that you’re not feeling too good. Too often people bottle up ill feelings and it stays inside them, festering and keeping them in a state of gloom and doom. A problem shared is a problem halved, they say. There’s no doubt that your friends will immediately come to the rescue and do everything they can to raise your vibration and take you back up to the dizzy heights you’ve just experienced. Festivals reinforce bonds and create strong new ones, too, and in light of this you will be supported by everyone and anyone you’ve spent time with at the festival. In fact, the camaraderie created at a festival often transcends friendships, so you can also rely on strangers to provide a shoulder to cry on or a listening ear, should you need one. You can also carry on talking it out when you get home. There’s no shame in feeling blue even if you’ve just had a life-affirming adventure. So talk it out and make those first steps towards beating the dreaded doldrums. PMA! Positive Mental Attitude is the way to go. Focus your mind on all the great things that you’ve just experienced. They’re undoubtedly fresh in your mind, so it’ll be easy to relive them and replenish your depleted reserves. Happiness is within our own control; we have the power to make ourselves happy or sad simply by just thinking in a certain way. 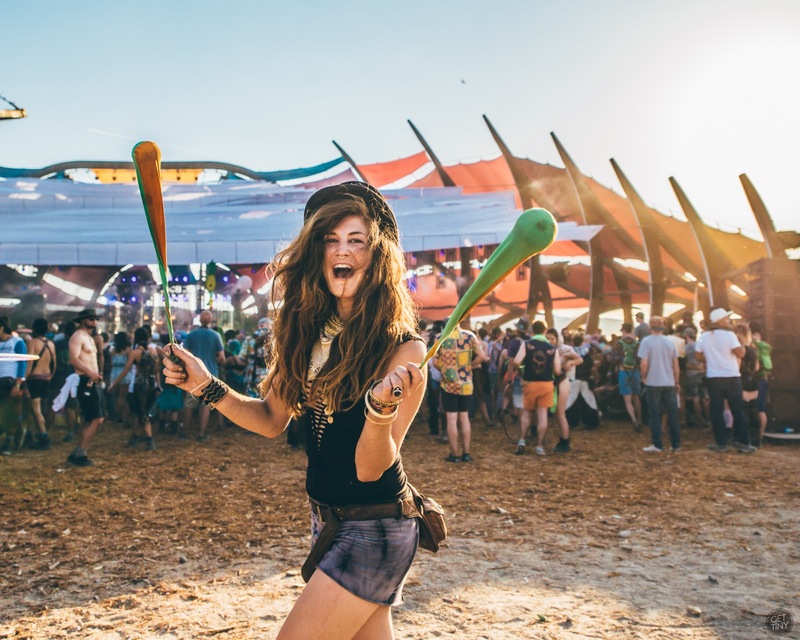 Sadly, many people are predisposed to think negatively and one of the most difficult parts of a festival experience is accepting that you’re going back to "reality." However, you’re heading back into "reality" armed with a whole bunch of new memories and most likely some newfound friends, perhaps some new favorite musicians, and so many wonderful sights and sounds that you have a huge new reserve of happiness to tap into whenever you want. How lucky are you?! Be grateful, be positive and be happy. Okay, so a lot of spiritually inclined people encourage "living in the present," but it’s also nice to have things to look forward to especially if you’ve just left a hedonistic paradise and feel like your brain is about implode then dribble out of your nose. So why not start making loose plans for the next celebration? It could be another festival if you like, or maybe just a dinner party with your festival buddies, new and old. Or even a coffee with someone or a date with a festival lover. Whatever it is, big or small, sprinkle it with some festival glitter and visualize how great it will be to connect with people, perhaps in a silly costume or with a sneaky hint of festival glamour to make it even more interesting. Just talking about it and imagining it will bring you up a few levels from the pit of woe in which you’ve ended up. You might even book something as soon as you get home, and why not? Life is for living. Who says that most of our daily lives have to be accepted wholesale? Who says that leaving the festival means it’s over?! Maybe we can chip away at all the increasing narrow-mindedness in our world with a bit of that inclusive, positive festival attitude. Most of us are fortunate enough to live in a world that still just about allows us to be totally self-expressive, to bring colour and joy into our social circles, to live a creative life if we so wish, or to set up businesses and projects that inject joy into peoples’ lives. Why not spend your journey home being nice to people, smiling (proven to boost your mood instantly, whether you’re actually happy or not), hugging people, being kind and gentle and vulnerable? When you get home, call an old friend for a chat, tell someone close to you that you love them – maybe they haven’t heard you say it in a while. Share all your pictures on your social networks. Dress up in silly clothes – who cares if other people judge you? 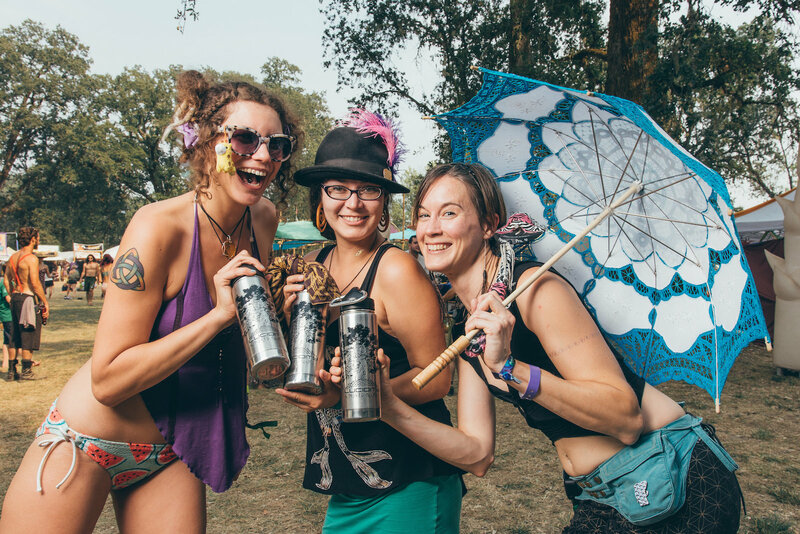 Share that wonderfully warm inner glow you get when you’re flying around free as a bird at a festival. Festivals are huge expressions of love, and giving love out will always bring it straight back to you. By loving everyone else, you’re also loving yourself. Try it!